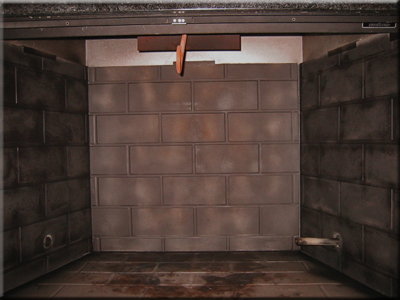 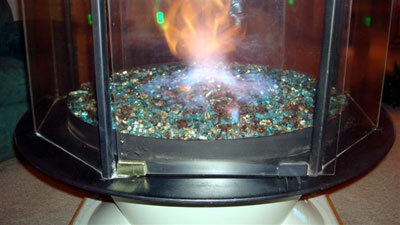 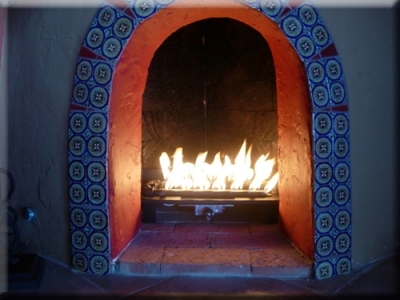 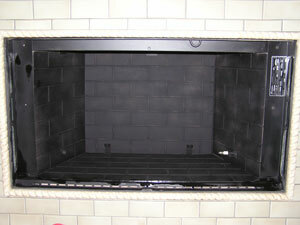 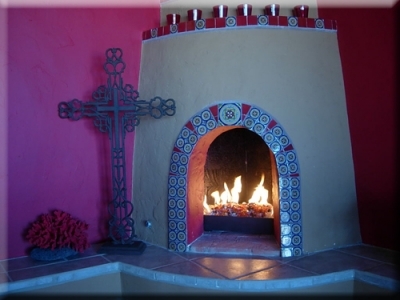 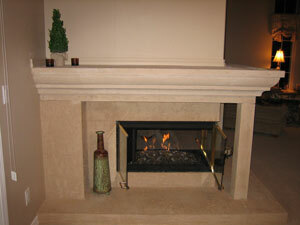 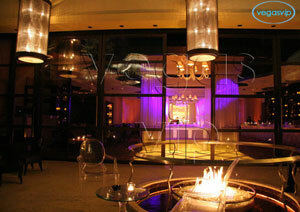 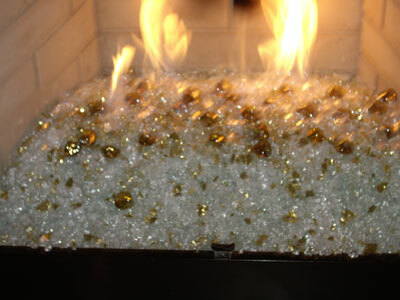 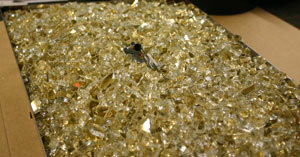 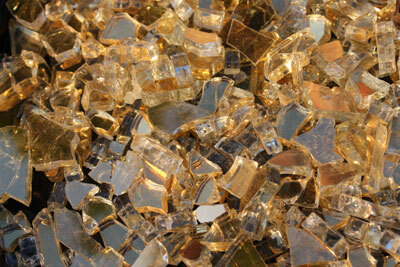 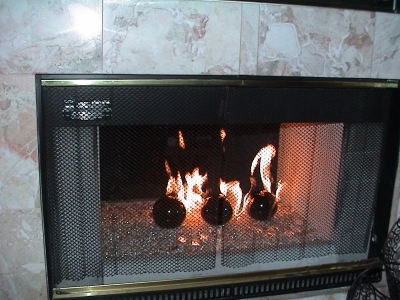 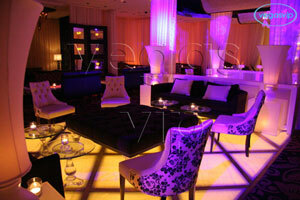 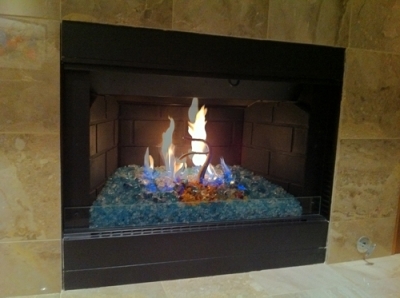 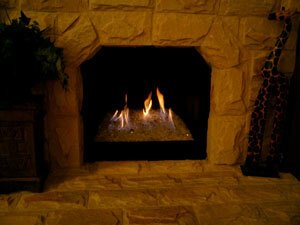 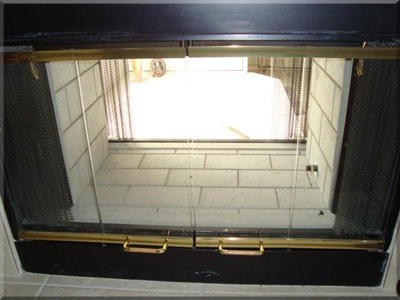 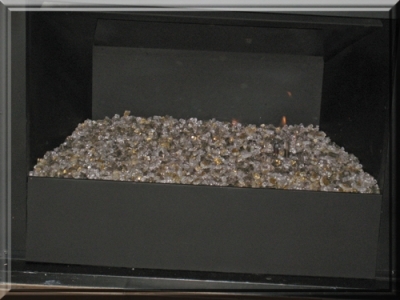 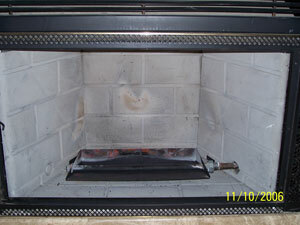 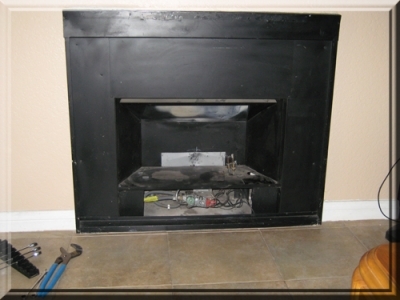 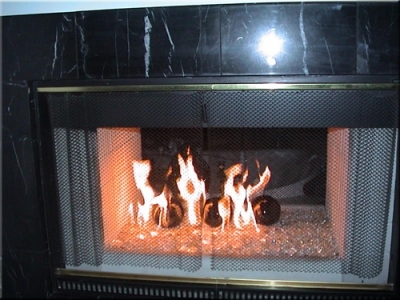 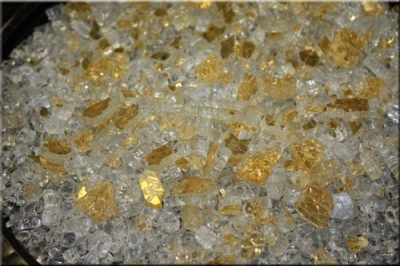 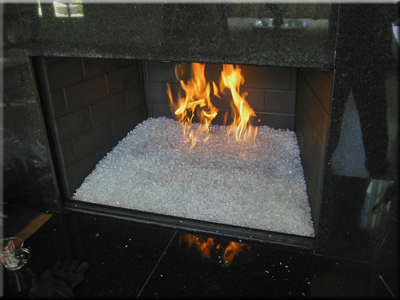 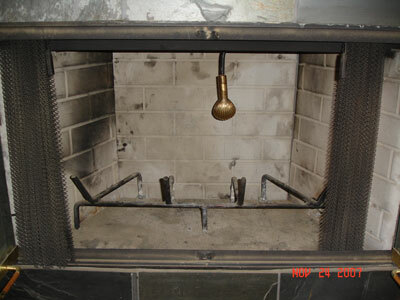 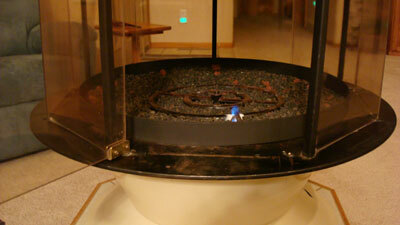 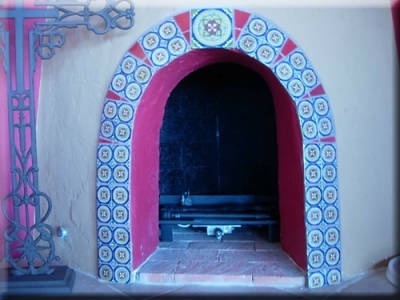 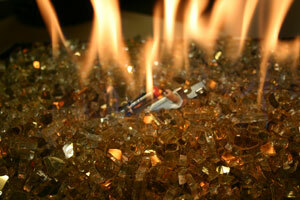 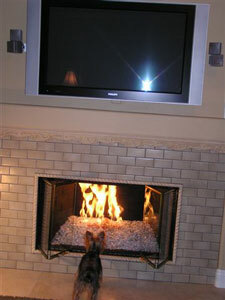 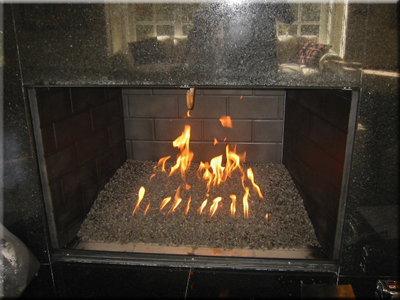 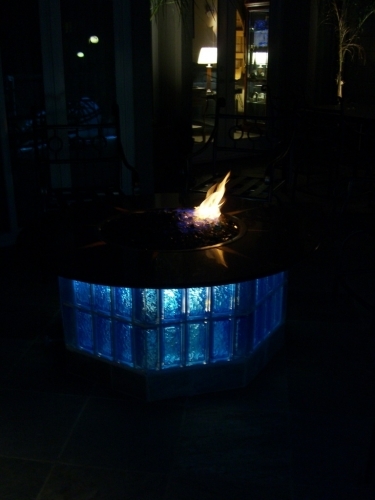 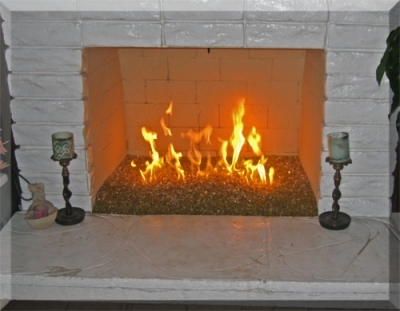 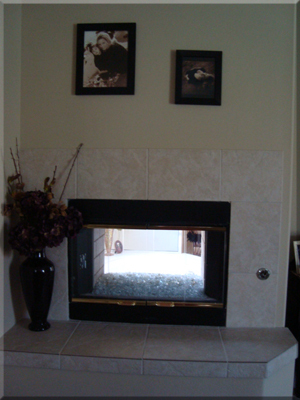 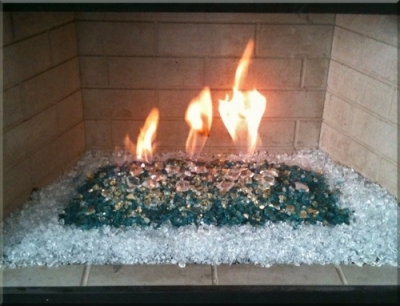 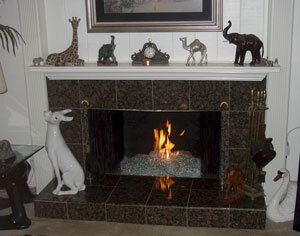 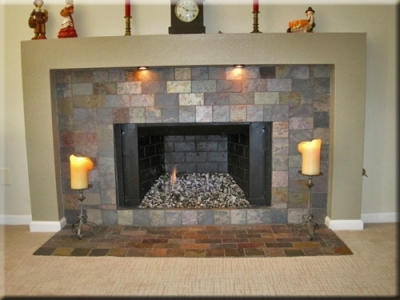 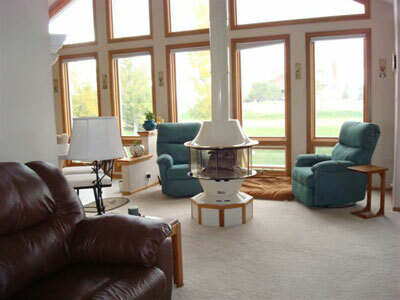 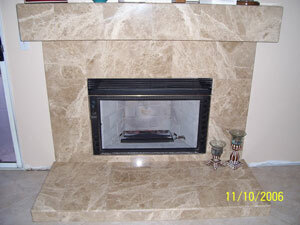 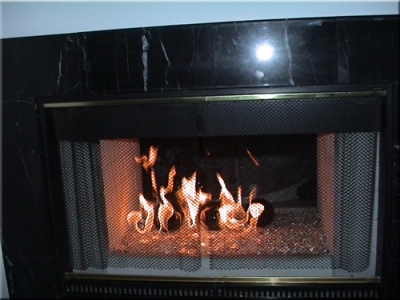 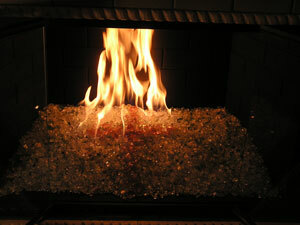 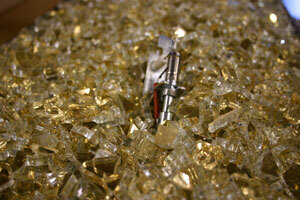 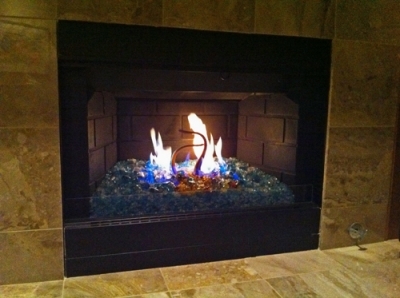 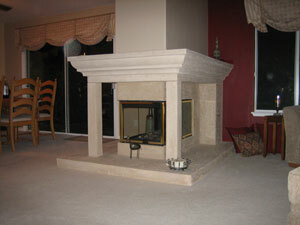 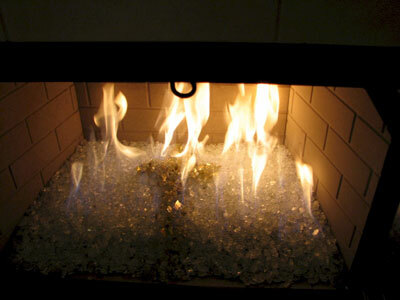 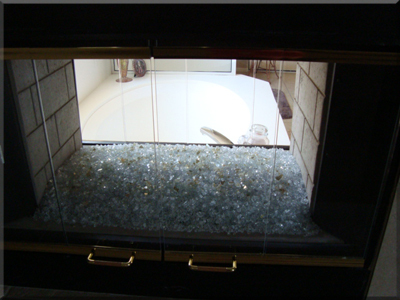 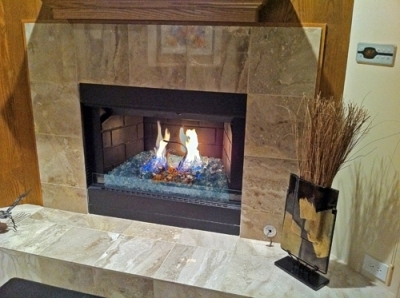 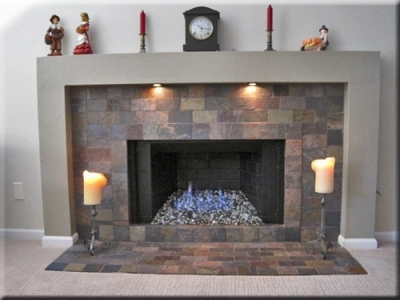 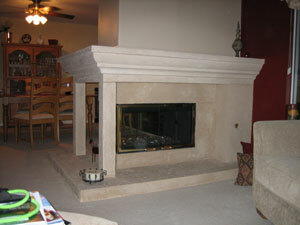 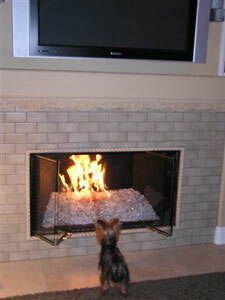 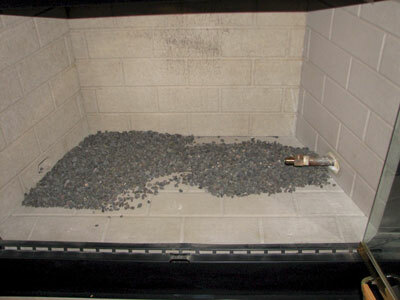 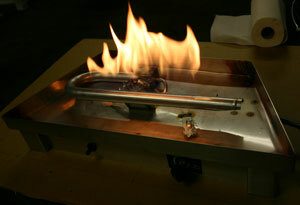 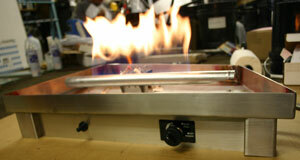 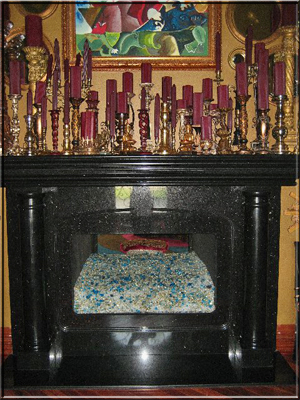 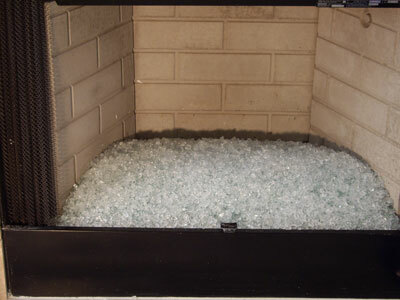 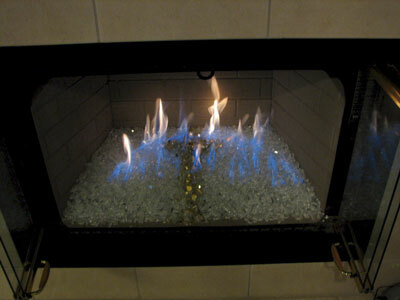 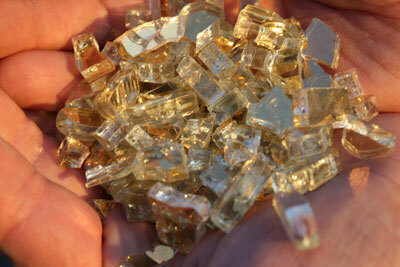 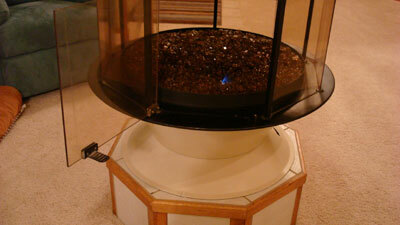 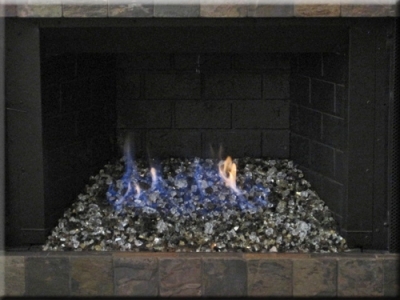 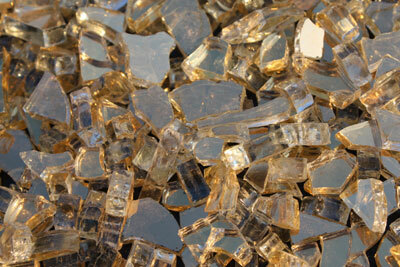 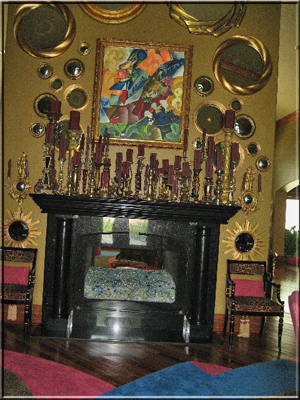 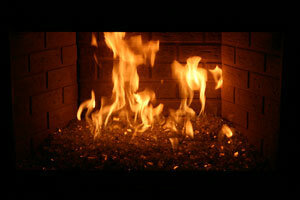 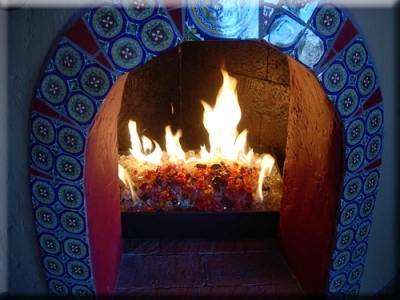 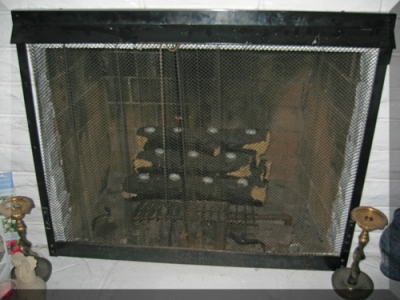 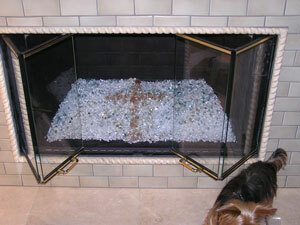 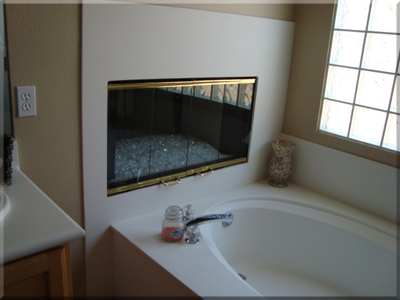 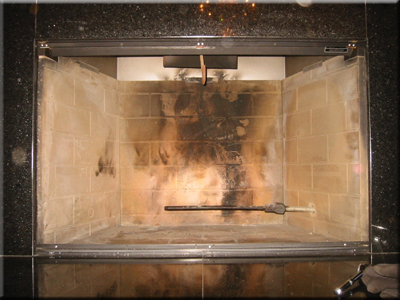 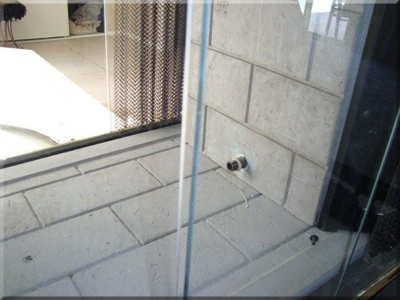 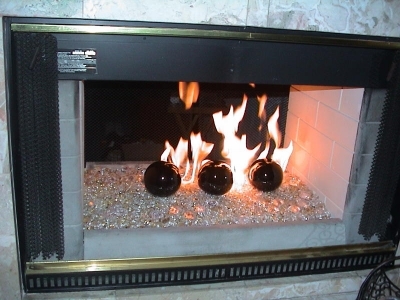 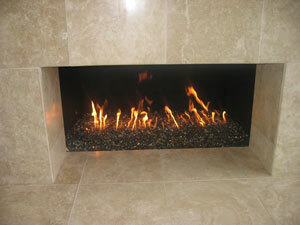 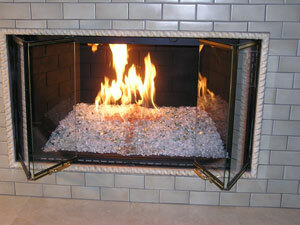 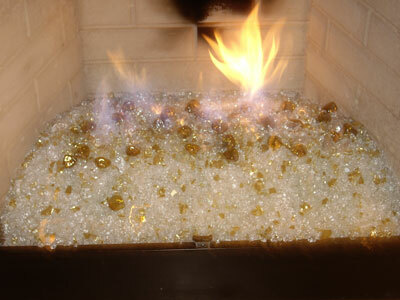 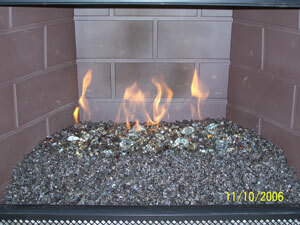 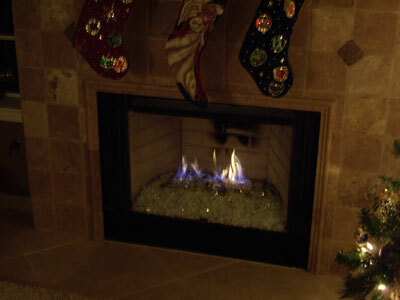 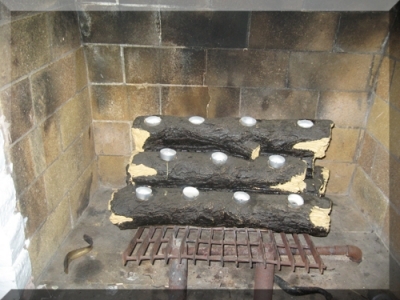 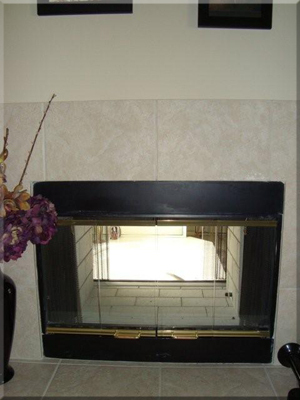 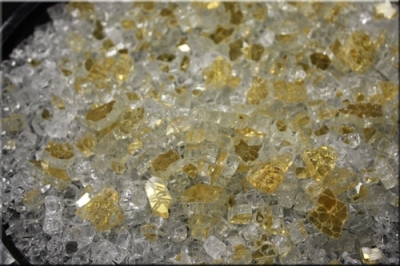 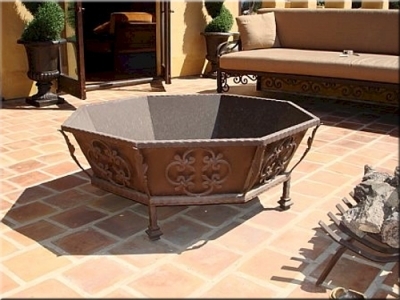 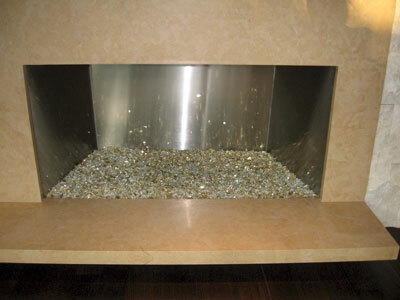 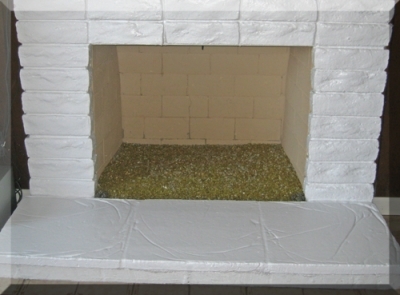 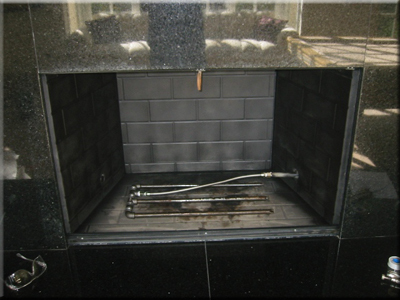 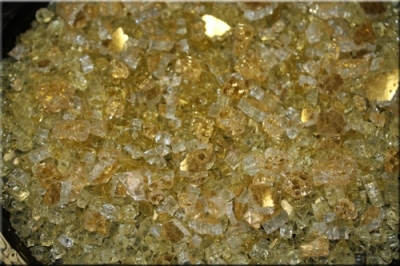 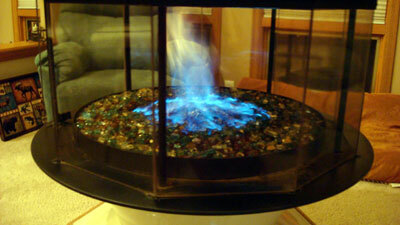 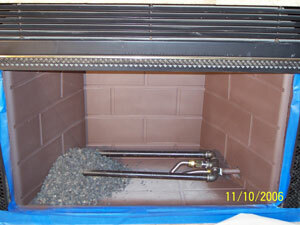 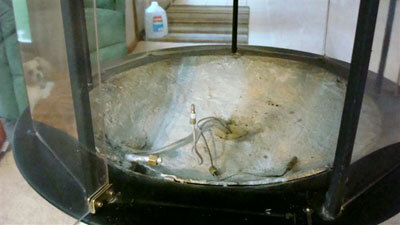 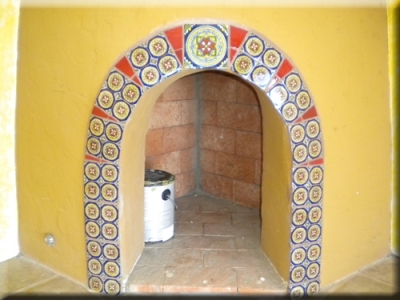 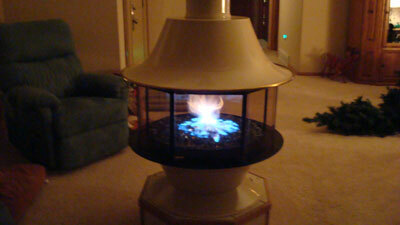 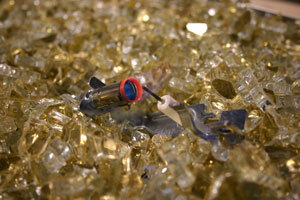 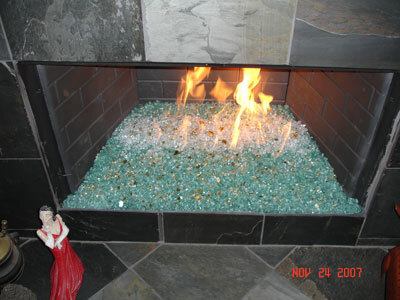 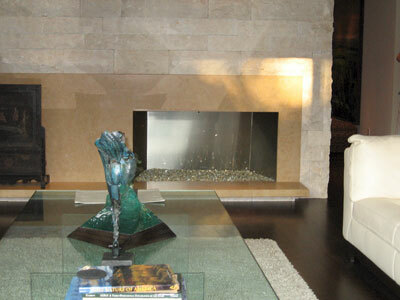 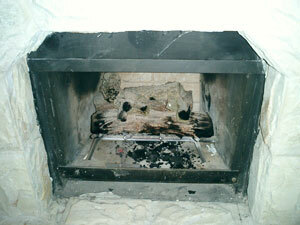 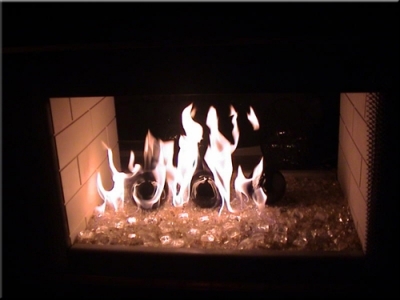 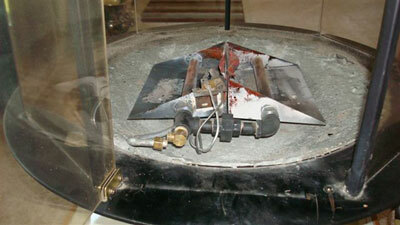 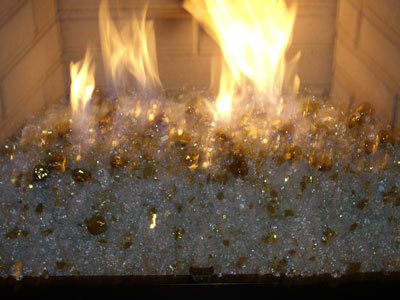 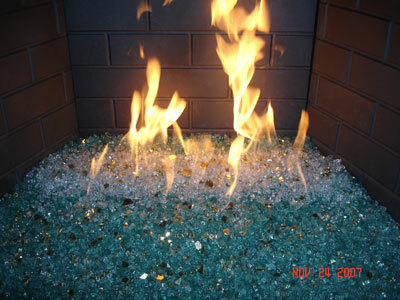 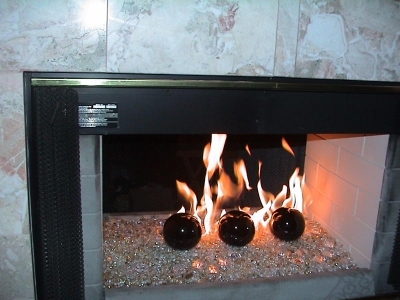 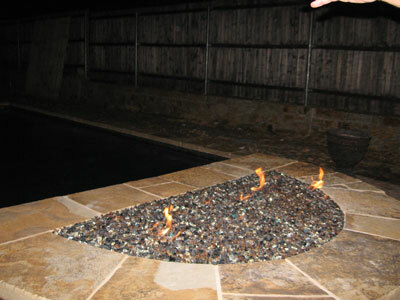 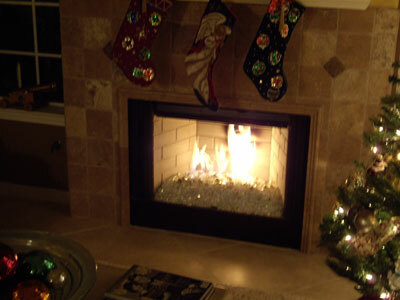 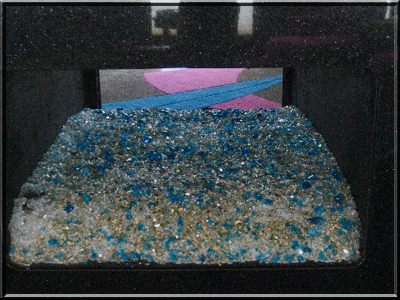 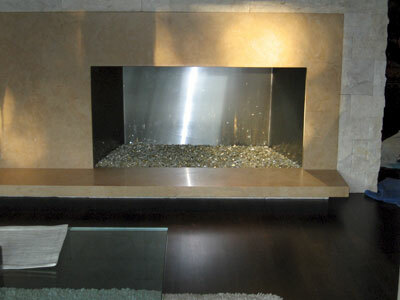 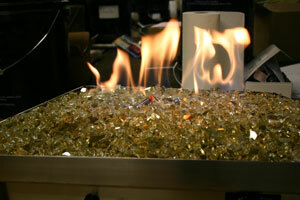 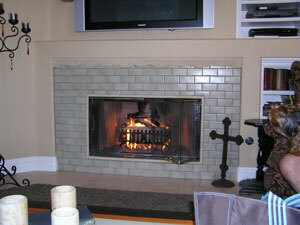 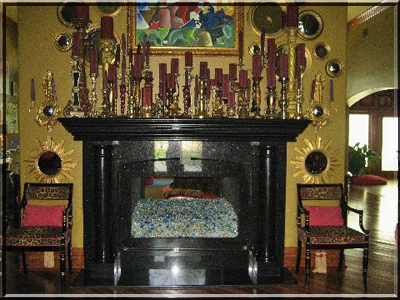 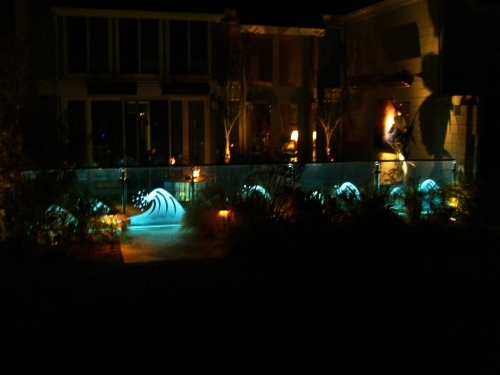 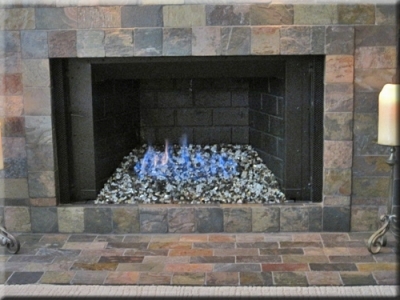 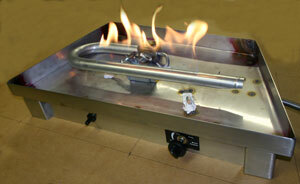 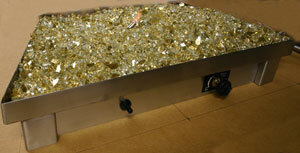 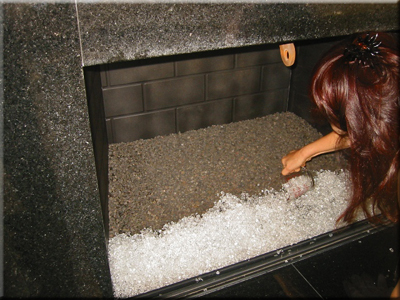 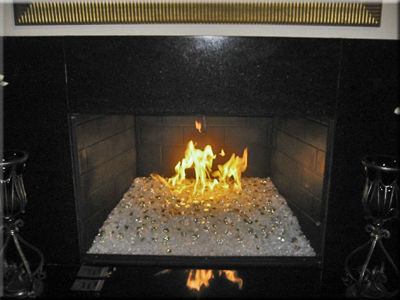 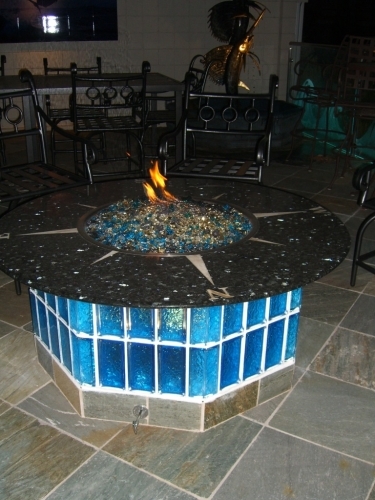 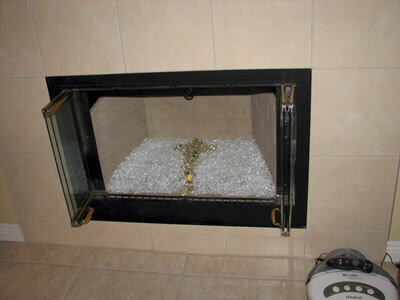 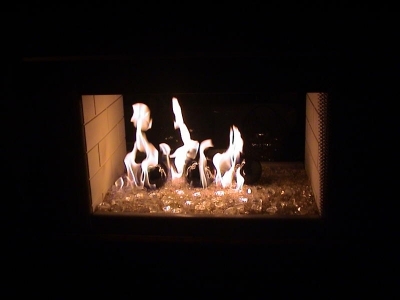 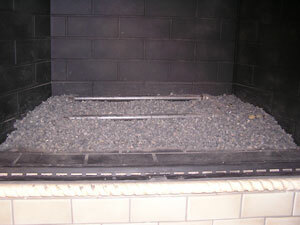 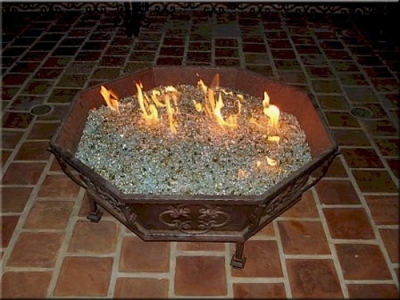 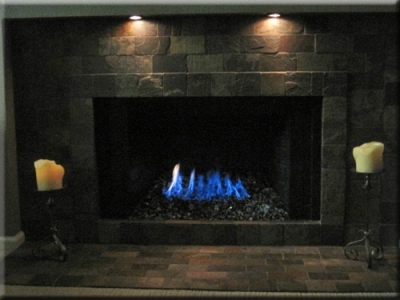 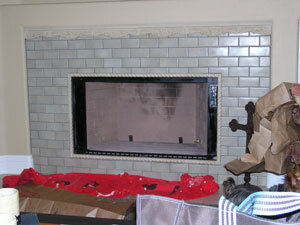 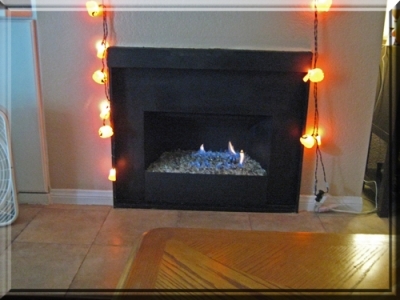 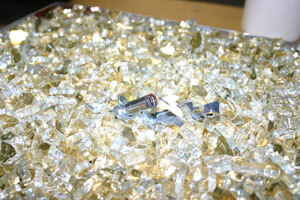 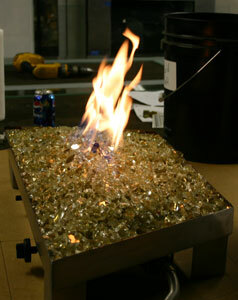 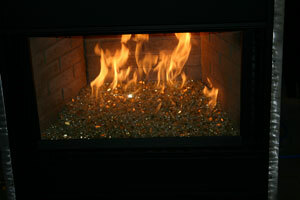 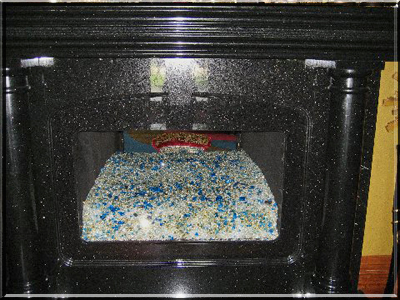 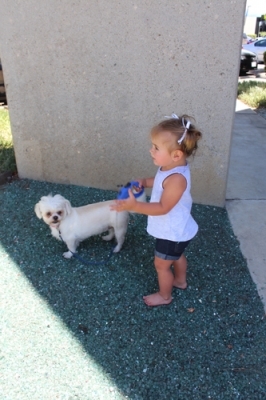 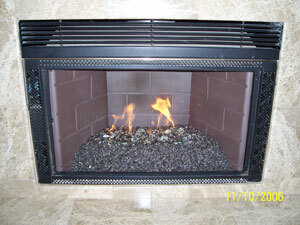 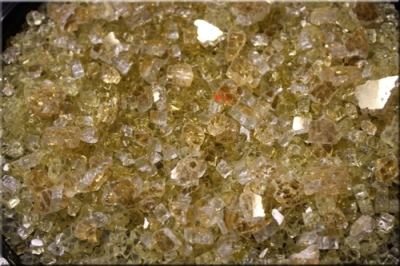 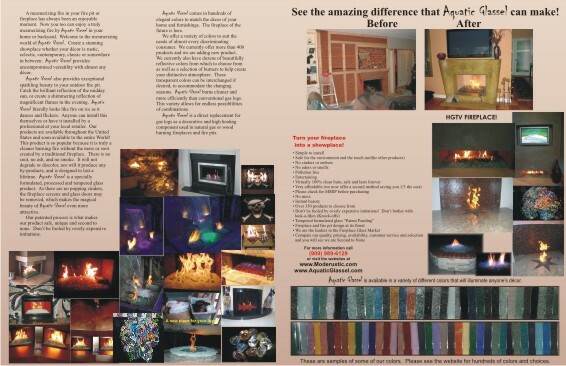 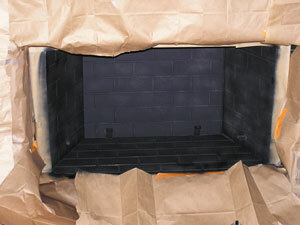 Gold reflective fireglass for natural gas fireaplces both indoor and outdoor use. 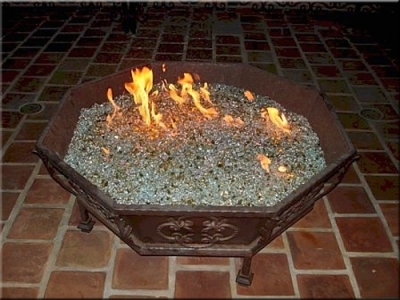 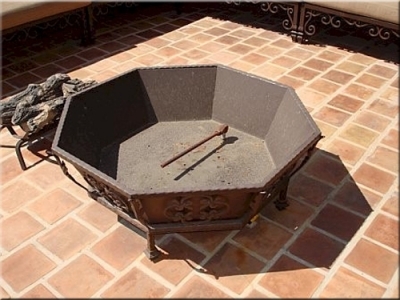 The next fire pit was created by Mike. 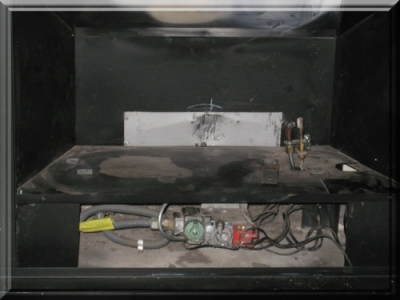 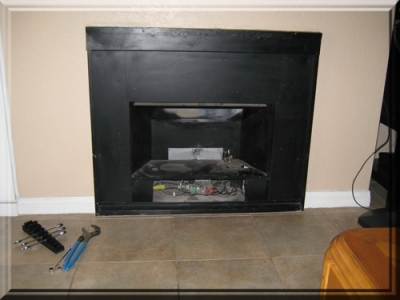 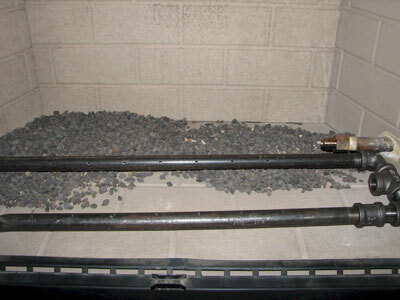 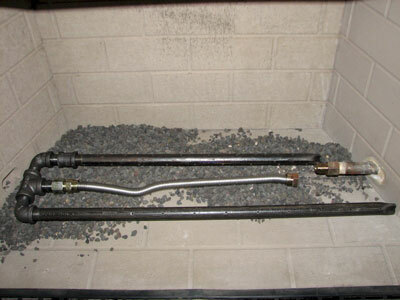 He used a metal flower pot/ planting tub and just connected it to his gas line. 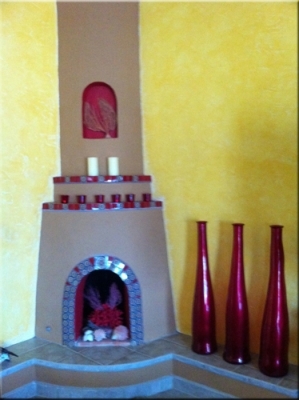 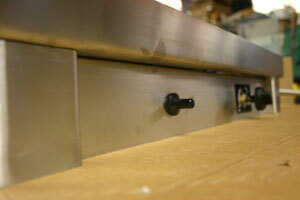 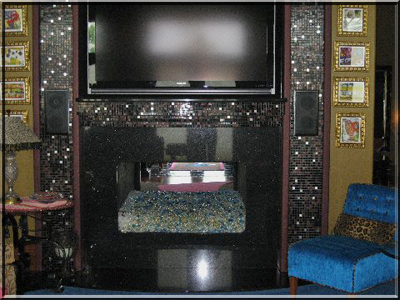 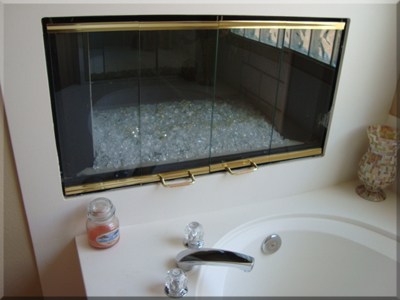 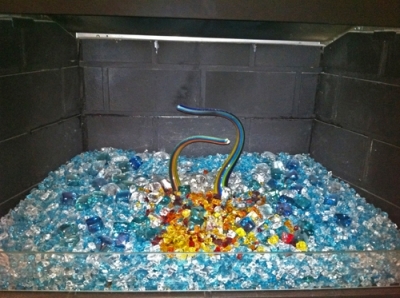 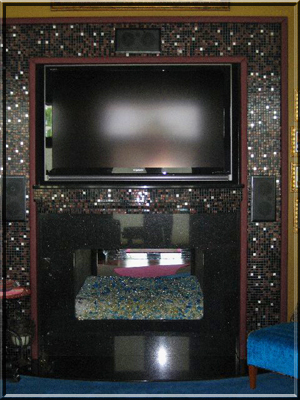 He installed Clear base glass and Gold on top.